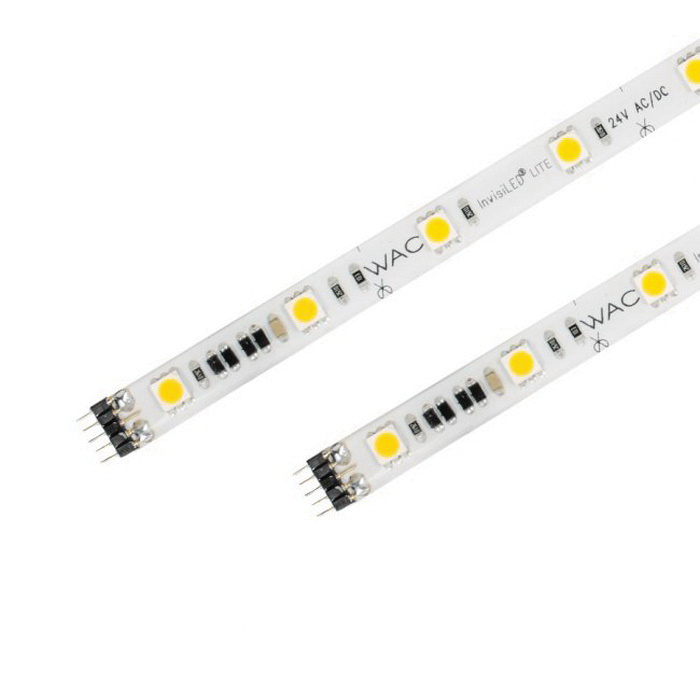 WAC Lighting InvisiLED® LITE LED Tape light delivers 135-Lumens of usable light at just 2-Watts. It has a color temperature of 3000K and CRI of 85 for superior color rendering. It features up to 50000 hour bulb life. This silicone cased tape light may be field cut every 2-inches at the end of a run. It has smooth and continuous ELV dimming with electronic low voltage dimmer and provides three mounting methods for different surfaces. It is perfect for task or accent lighting applications. LED tape light is UL & CUL listed, ADA approved. * Inventory displayed is accurate as of 04/25/2019 22:40 EDT.